Thank You Raymond Mills & Mills Bit Service! Raymond Mills, owner of Mills Bit Service located in Bowie, Texas, is a generous partner to WEFTA and Bolivian NGO, Suma Jayma. Since 2012, Raymond has donated multiple water well drill bits for use by Suma Jayma in constructing community water wells in the Andean High Plains (Altiplano) of Bolivia. 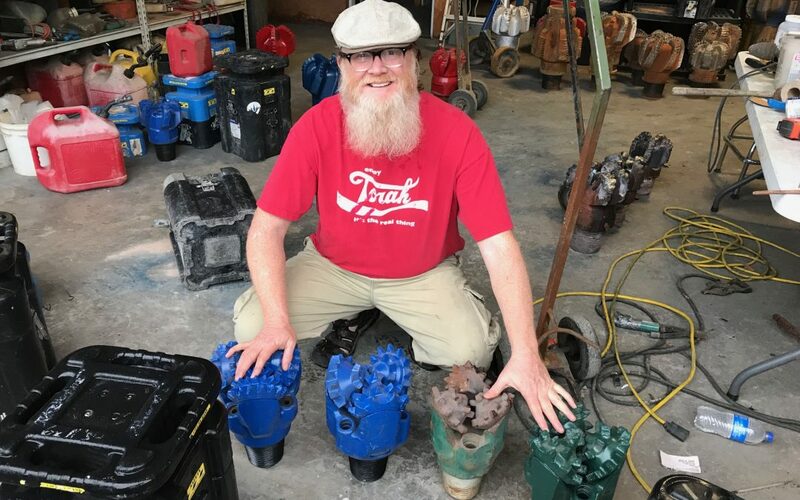 His most recent donation of drill bits just recently arrived to the Suma Jayma team. Raymond has extended his generosity beyond the materials he has donated, by teaching the members of Suma Jayma how to retip their PDC drill bits & supplying them with the diamond-coated cutting inserts. The partnership with Raymond Mills and the generous support he has provided for WEFTA, Suma Jayma, and for the Bolivian communities in need of access to safe water, is tremendously valued and appreciated as we continue to make an impact and change lives together! To learn how you can help make an impact, contact us info@wefta.net.